Here is a list of what we think are the best luxury hotels in Spain. We only include five-star hotels in Spain in which we have stayed ourselves, or which have been recommended to us by our visitors. Carretera Madrid - Irún Km. 235 , Burgos. The Landa Palace is one of Spain's best hotels. Run by the Landa family for over three generations, the hotel has spacious and comfy rooms (the best ones in the old tower with direct access to the beautiful swimming pool surrounded by gothic-style stone arches), lots of special touches and an excellent restaurant famous throughout Spain. See more photos of Hotel Landa Palace and photos of Burgos. Belongs to the Ritz-Carlton Hotel Company, located in one of the Olympic towers offering some of the best views of the city of Barcelona and the Mediterranean Sea. 397 rooms, 56 suites, 27 duplexs and two presidential suites. The Arola restaurant famous for its popular and informal mini-tapas, a casino and a Hédiard delicatessen. See photos of Barcelona. This is a luxury hotel on the Atlantic coast, located in a very peaceful area next to the beautiful Playa de Barrosa, just a 10 minute drive from Cádiz. Popular with golfers. Wonderful swimming pool (see photo) overlooking the beach. The hotel offers spa treatments. The rooms are very comfortable. See more photos of Melia Sancti Petri. Pilgrims were offered accommodation and care in the Hostal Reyes Católicos, making it one of the oldest hotels in Spain. It is also one of the country's most beautiful buildings with four outstanding cloisters inside, and touches from the gothic, rennaissance and barroque periods. Luxurious bedrooms and bathrooms, elegant lounges, beautiful long halls and interior patios, high arches, furniture and other articles on display from hundreds of years ago. Not really recommendable for families with young children. Two restaurants, both serving very high quality food. This hostal is one of the best parador hotels in Spain. See more photos of Hostal de los Reyes Católicos. The hotel has a wonderful view over the bay of Santander and is a lovely building with elegant salons inside, lovely bedrooms and five-star service. Modern facilities, hydromasage, hydrotherapy, seawater swimming pool etc. 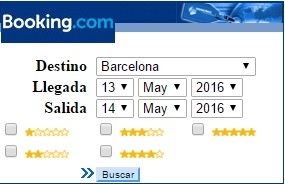 123 rooms, 5 suites and 4 junio suites. Santander's most expensive and exclusive hotel - ideal if you want to feel pampered. Member of The Leading Hotels of the World. This beach hotel is a fine example of traditional Andalucian architecture. Subtropical gardens, fountains and palm trees. The very spacious rooms are distributed in 27 bungalows set in 55,000 m2 of gardens. It has an elegant Italian-Mediterranean style restaurant `The Roberto´ as well as another 3 all offering different cuisine. Member of The Leading Hotels of the World. 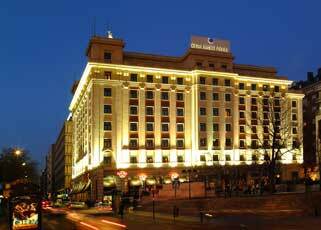 The Hotel Fenix is one of Madrid's best luxury hotels within walking distance of the popular Salamanca comercial district, and just next to the Plaza Colon. Recently refurbished. 2 restaurants, one buffet, one a la carte, piano bar, cafeteria, hairdresser, gym, broad-band Internet access from all rooms, business center, private carpark, meeting rooms, friendly staff.